Actress/musician/photobomer? That’s a new variation on the “triple threat, for Zooey Deschanel. 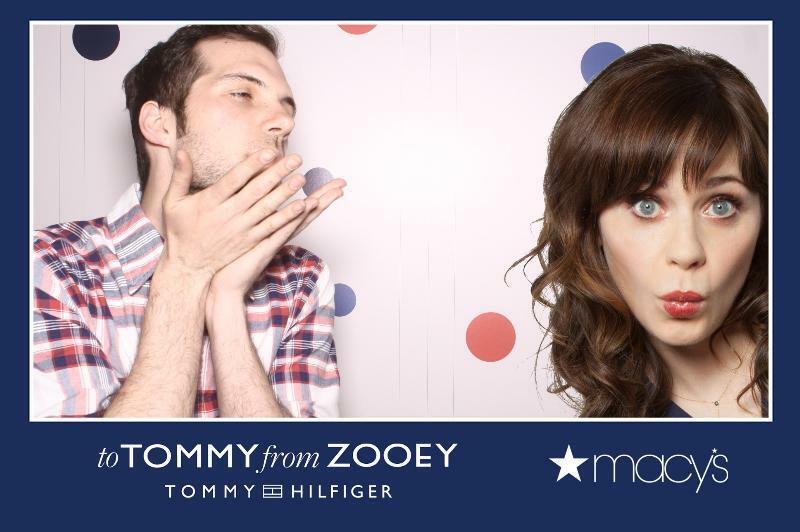 We helped make it happen last week for Tommy Hilfiger and Macy’s, for a pair of events in Los Angeles and New York that featured a booth that gave guests prints photobomed by everyone’s favorite cutie Zooey Deschanel. 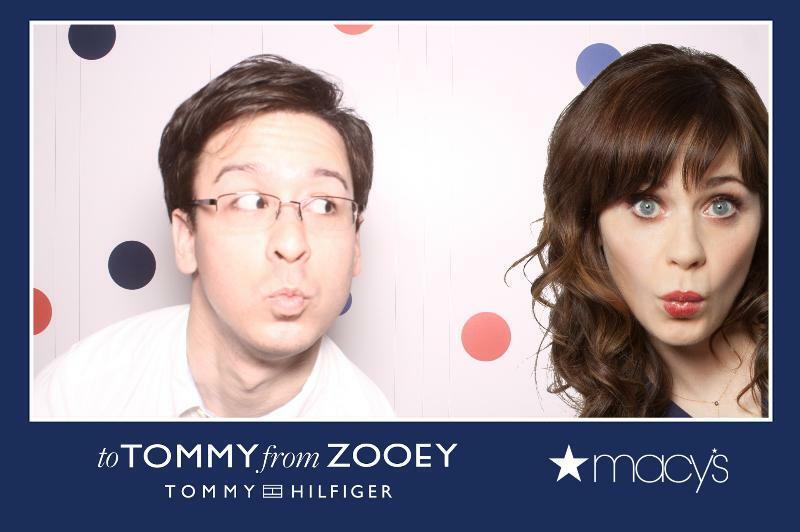 Mark Van S, our creative director, shot Zooey Deschanel in LA in several photobomb poses. You shouldn’t be surprised to hear that she was a natural in font of the camera. Then, we created a custom overlay with her in the foreground of each print! The event used the hashtag #totommyfromzooey to promote their collaboration on a fashion line. If that weren’t enough, Tony Hale (yes, Buster from Arrested Development and the Mr. Roboto dancing guy from the Volkswagen ads) stepped in and gave us a signature pose. Check out the work below!